I don’t remember the 1986 Masters. My first memory of Augusta National in April was in 1987 when Larry Mize chipped in on the second playoff hole to defeat Greg Norman. But soon after 1987 I began playing golf and the legend of the ’86 Masters became part of my memory. No tournament since then has rivaled the excitement and history of 1986 until 2019. When word spread late on Saturday that the tee times for the final round of the 2019 Masters would be changed to early Sunday morning because of weather, I wanted to change our church’s service times to 4:15 and 5:45 pm. Of course, that wasn’t an option. Instead, I carried out my duties as a pastor on Master’s Sunday even as my friends texted me continual updates. I was leaving the church as Tiger Woods took the lead on the 12th hole. I was in the car as he birdied the 13th. I had lunch and changed clothes as he made par on 14. Then I settled onto the couch for the final four holes. Tiger wasn’t my pre-tournament pick, but with Jordan Spieth settling into the middle of the field and Webb Simpson just missing out, Tiger was the man I was rooting for. I knew a win by Tiger would be great for the game and it would be an amazing accomplishment by the game’s greatest player. It’s sad to say how much my heart was racing as his first putt on the 18th sped by the hole and how I held my breath even as he calmly tapped in the winning putt. I don’t know if his win tops the 1986 Masters, but it was an amazing accomplishment. Tiger’s is a story of redemption, dedication, and perseverance. The pictures with his dad from 1997 contrasted with the pictures with his son in 2019 brought a tear to my eye. Yet as Tiger was walking from the 18th green to the clubhouse and as the throngs of fans were chanting his name, I wondered, where is Elin Nordegren? I felt for her. Even as Tiger and their children rightly celebrated, I wondered if she didn’t feel a pang of sorrow even if she was happy for his recovery. There is a danger in the Tiger Woods story. Watching him overcome sexual addiction, recover from multiple surgeries and physical struggles, and return to the top of the golfing world is a tremendous story. However, it doesn’t undo the pain of the family that was lost or make up for the sorrow that they all experienced. Here’s the danger–we are tempted to downplay Tiger’s mistakes because of his victory. It’s easy to look at the pictures of everyone smiling and assume all is alright. Maybe things are good. Hopefully, they are in the best state in which they can be. But don’t let down your guard just because Tiger won another tournament. Tiger’s sins are not unforgivable. They aren’t mistakes which should forever be held against him. Forgiveness does exist. Redemption is possible. Yet we also shouldn’t just pretend as though nothing happened. The pain is still present. The consequences of his choices are still being experienced. Even him hugging his kids, mom, and new girlfriend in victory should give us hope while also serving a strong warning. I don’t want my greatest victories in life tainted by grief. I don’t want my children to feel torn even as they are happy for one parent. Marriage is the foundation of family. We must guard it with all that we have. Families most often dissolve because of deception. An individual or couple is deceived into believing that their choices will not have negative consequences on others. They believe they can do what they want and everyone else will be just fine. It’s what happened to Tiger and it’s what happens to many others. Yet it is not a true story. The truth is that our poor choices have a ripple effect far greater than we can imagine. Tiger unknowingly traded his kids’ sense of security, his marriage, and many other things for temporary pleasure. It’s a trade no one would logically make unless they were deceived. 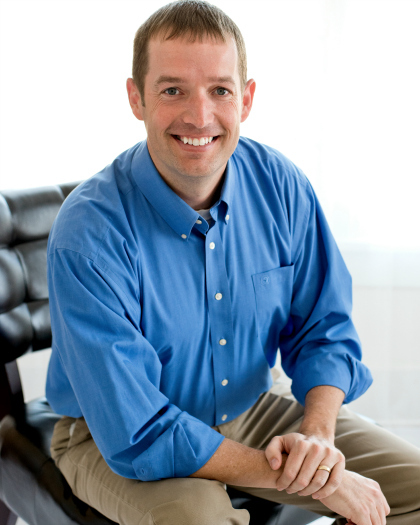 As a pastor, I regularly meet with men and women who are deceived. They believe they are the exception to the rules. They think their affair or divorce won’t hurt others. They deceive themselves into believing that everyone and everything will be alright even as they are making horrific choices. While God is good, forgiveness is real, and he does have the ability to redeem us in ways we can’t imagine, life is much better (and easier) if we will make good choices. Adultery hurts. Divorce is damaging. The pain is far greater than most people realize. This isn’t meant to guilt those who have walked that road. It is meant to remind all of us of the dangers that are out there. It’s a challenge for us to guard what we have. I’m happy for Tiger’s victory. I hope he has experienced a major life transformation and that his current success leads him down a different road than a decade ago. But I also hurt for Elin Nordegren. Even after a decade, I can’t help but think that she still has a pain in thinking about how life was supposed to be. Sometimes we don’t control how life goes. Sickness, tragedy, and death can come at us without our permission. But in other ways, we have complete control of our lives. Choosing to guard our hearts, protect our marriages, and make wise choices are in our hands. 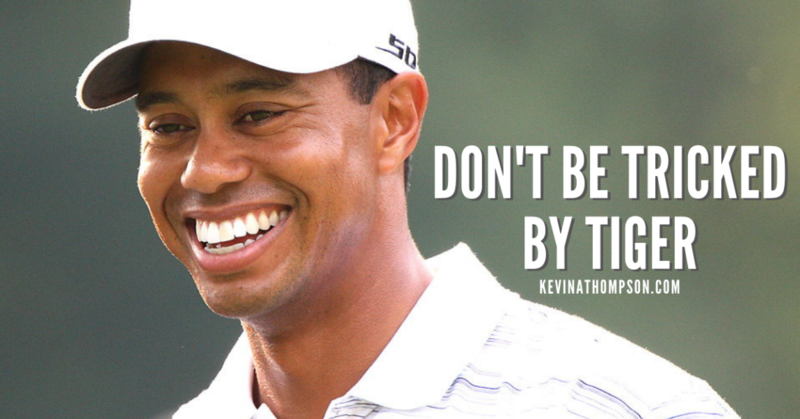 Let Tiger’s victory remind you to keep fighting when you make mistakes. But also let it motivate you to make good choices so that you don’t have to experience some of the things which others have. “Tiger Woods” by Keith Allison is licensed under Creative Commons Attribution Share-Alike 2.0. We too watched the Madters ALL weekend. I was pulling for Tiger, come back kid and all… I was touched to see his Mother and children in the gallery. When they showed his current girlfriend, it was as if there was a big ripping sound in my head….What’s she doing here? It seemed so tawdry, disrespect to his family and his adoring public who’s willing for redemption. My thoughts were for his ex, who seems to live her life with class and dignity. I’m glad he won, but he failed to show any sensitivity.